This plaid shirt is in autumn colours. It's nice! It has the plaid running diagonally across the shoulders and on the breast pocket flaps. It does up with buttons. 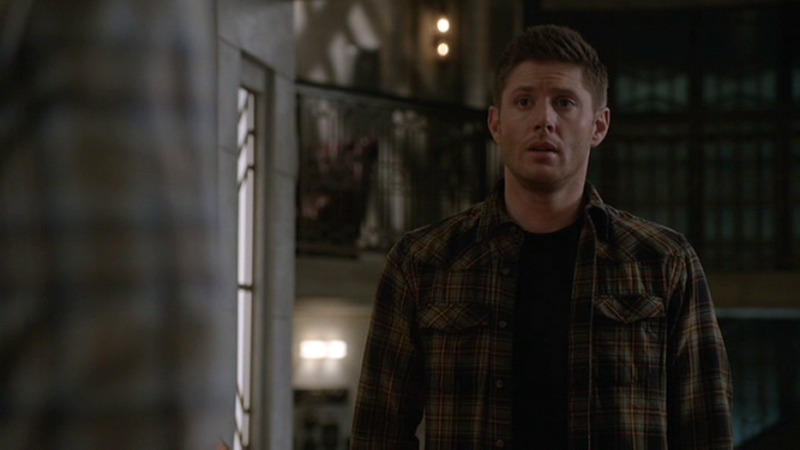 In the Hunter Games (10x10), Dean wears this shirt for nearly the entire episode. He only wears something different for the very end scene when he goes to meet Claire. 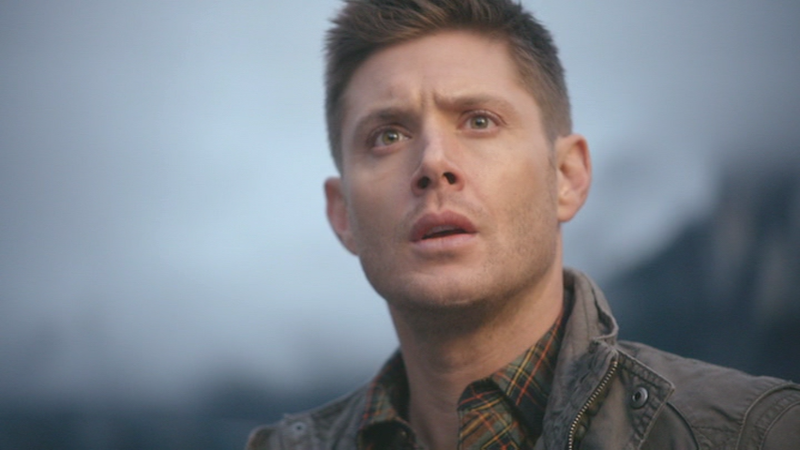 In About a Boy (10x12), this is one of three shirts that we see Dean wearing during the montage of him researching at the beginning of the episode. In Book of the Damed (10x18), Dean is wearing this shirt at the very end of the episode, when he returns with pizza and then he, Sam, Cas, and Charlie all hang out and eat pizza. In The Werther Project (10x19), Dean is wearing this shirt at the beginning of the episode when he has just slaughtered all the vampires. He changes out of it once he’s back at the bunker, most likely because it is gross with vampire blood. In Don’t You Forget About Me (11x12), Dean wears this shirt at the end of the episode when he says goodbye to Jody and the girls. In Don’t Call Me Shurley (11x20), Dean wears this shirt from after the Deputy kills her husband until the end of the episode. In All in the Family (11x21), we pick up where we left off with Dean still wearing this shirt until Chuck wanders off to find a spare bedroom in the Bunker, before we cut to the next day. In The Memory Remains (12x18), Dean wears this shirt in the diner after he and Sam visit the plant when Darrin goes missing midway through the episode. He continues to wear it until the end of the episode. Another shirt I really like. He got a lot of use out of this shirt last year, didn't he. Rarely do we see him in the same shirt for 4 different episodes. Also, I'm pretty proud of myself for guessing right.